One of the more remarkable men to come to Wolverton in those early railway years was Edward Hayes. He was born in Manchester in 1818 where he did an apprenticeship. 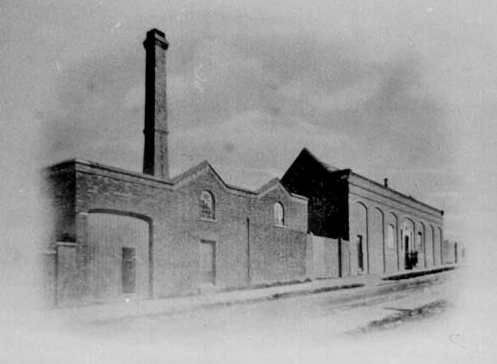 Then he found work at the new Engine Repair shop at Wolverton, probably in 1839. We know a little about those years because he was a room mate of Hugh Stowell Brown, who later wrote about him in his own autobiography. They were both serious young men, eager to make their mark in the world and keen on self improvement. A few years later Edward Hayes found a sponsor, William Smith, a Woolstone farmer, and set up his works at the Wolverton End of Stratford. At first he made agricultural machinery, for which there was a demand in the 19th century. He then used the knowledge he had acquired at Wolverton to develop steam engines to power agricultural machinery. These were successful. In the late 1860s, when the Watling Works were well established and thriving, he turned his hand to boat building. Apparently he had some knowledge of this from his apprenticeship in Manchester. Boatbuilding in the middle of he country did not strike people at the time and since as a natural fit, nevertheless, Hayes’ energy, engineering know-how and product quality made sure of success and orders came in from many parts of the world. At one time they were building vessels up to 80 feet long. These vessels, once finished, were transported up the High Street to the canal wharf at Old Stratford. There they were slid into the water and comfortably delivered by canal to their destination. Even though this was one of England’s major trunk roads it was still possible for a slow moving wide load to take up the road without traffic hold-ups. Edward Hayes died in 1877 and his son (also Edward) took over the firm. Boat building was now the mainstay of the business. The firm continued to thrive into the first quarter of the 20th century but then seemd to lose the drive and energy of its founder. edward Hayes junior died in 1917 and his son only lived to 1920. After this the firm continued to 1925 when it closed down. Hayes’ commitment was not simply to making money (which he did) but also to spreading his engineering knowledge. In this sense he was also remarkable and quite early he took on apprentices, which he managed to attract from across the country. Sir Frank Markham notes three who went on to distinguished careers after learning the ropes at Hayes: Osborne Reynolds, Professor of Engineering at Manchester University, Sir Frederick Rebbeck, Chairman of Harland and Wolff, who had a hand in the design of the Titanic, and B J Fisher, who became Chief Engineer of the London and South Western Railway. 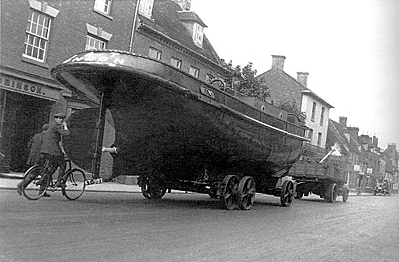 One of the last boats to be built was acquired by the Milton Keynes Development Museum in 2004. It can be seen at the entrance to the museum.